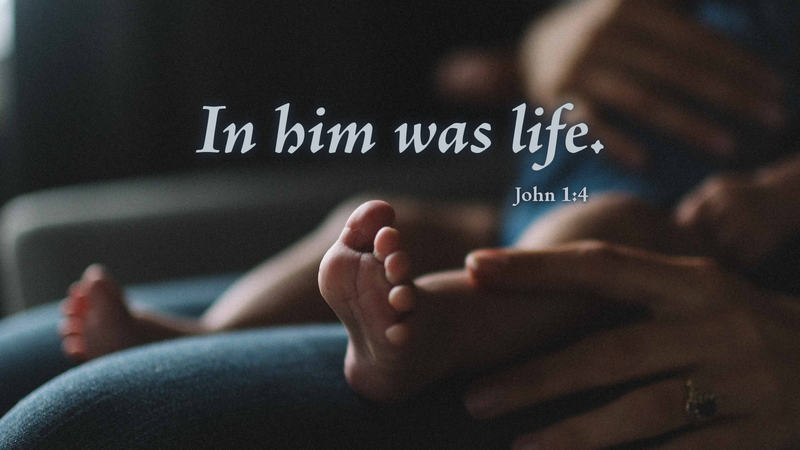 “In the beginning was the Word … What has come into being in him was life, and the life was the light of all people” (John 1:1, 3, 4). The answer of Christian faith is, “God spoke all that exists into existence.” John 1 echoes the great creation story of Genesis 1 in affirming this truth. We like to say that life is a gift; it is more accurate to say that it is a trust from God. The ancient Hebrews refused to eat blood because they believed it carried the life in it, and life belongs only to God. Even in our fallen and broken creation, all life belongs to God. Recently I conducted vision screenings on behalf of the Lions Clubs in our local school district, and I was specifically asked to try to screen the students with multiple disabilities. There were nine such students in our district, each with so many issues that an aide was assigned to every student. I witnessed how lovingly the aides and teachers cared for these students in the classroom, and I was in awe when I learned that several of these students were adopted by parents who knew very well the challenges they would face. I suspect that a motivation for the adoption was a solid Christian commitment to the sanctity of life. I have to be honest that I don’t think I could undertake such a life-long commitment, even if I were younger. But I thank God for those who do. In many ways, they are the heroes of the pro-life movement, and we can all learn from them to respect all life as entrusted to us by God. A recurring lie is that those of us who oppose abortion don’t care about life after birth. The parents who adopted these students with so many health and learning issues show the truth. How is God calling you to witness to the wondrous mystery of life, not just by marching but in how you conduct yourselves every day? Prayer: We thank you, Father, for all who work to preserve and nurture life, especially those who willingly undertake the care of the weakest and most vulnerable. Guide us to care faithfully and loving with all the life you have entrusted to our care. In Jesus’ Name. Amen. Today’s devotion was written by Rev. Steve Shipman.